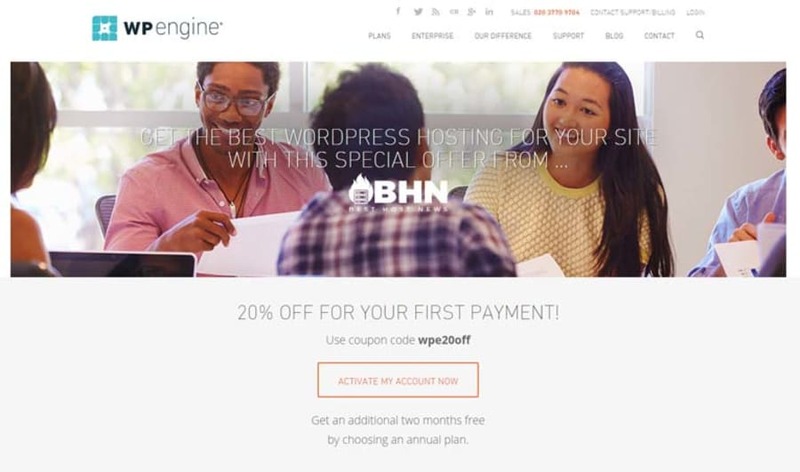 Looking for WP Engine promo codes and coupons? #MasterTheWeb and save money today with our exclusive The Webmaster offers. This special deal for our readers gives you 20% off your first invoice. This is in addition to 2 months free when paying yearly. Click the WP Engine Offer © The Webmaster. To proceed with your purchase, click “activate my account now” button. You will be scrolled down the page to the choice of plans. You will see that the pricing has been updated to show the monthly cost (noting, that this will be lower if you choose the yearly plan in the next step). To proceed, click “host my website” for your chosen plan. Choose Plan © The Webmaster. 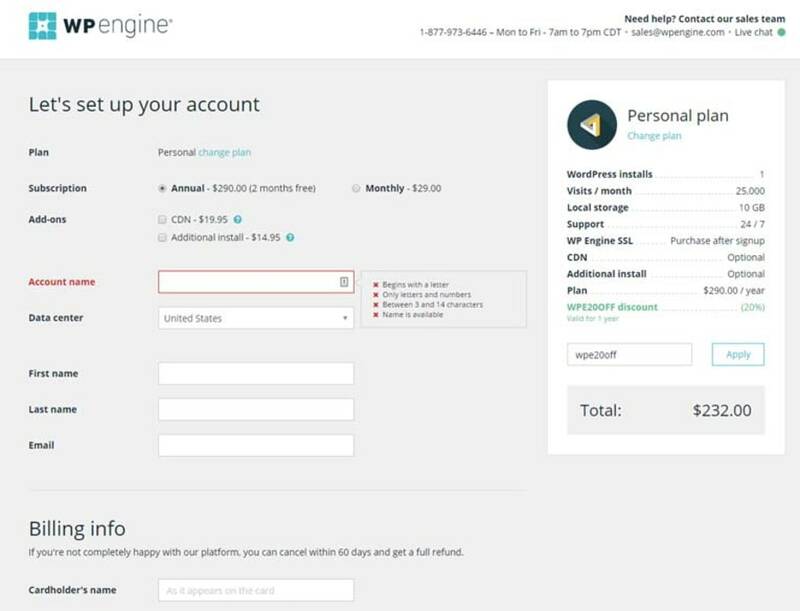 Signing up with WP Engine is incredibly easy. On the next screen, you will need to choose your billing period as well as select any add-ons. For the Personal Plan (that comes with one website and no CDN) you can opt to add an additional install, or add the CDN. We highly recommend implementing the CDN if you host with WP Engine, so you should either add this or sign up for the Professional Plan where is comes as standard. You will see the cost on the right-hand side of the screen which shows that the special offer has already been applied. With the Annual plan, you get two months free on top of the offer, so this is worthwhile. You will also have to choose your data center, enter your login name, and add your billing details. Once completed select “Create my website” at the bottom of the page. You will then receive all your account information by email within minutes. Select Billing Period, and enter billing information © The Webmaster. No, they do not accept Bitcoin. If you require Bitcoin as a payment method, we highly recommend Namecheap. Yes, they have a 60-day money-back guarantee which is advertised on their website. What payment methods do WP Engine accept? Customers must pay by either Credit or Debit card. Paypal is no longer accepted. The only alternative is to pre-pay money onto your account, which can be done by either cheque or electronic transfer (wire).